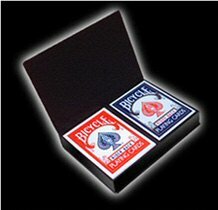 Deck Switcher is brillant and saves you a lot of difficult-of-hand. 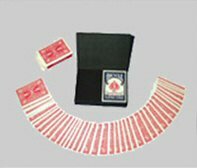 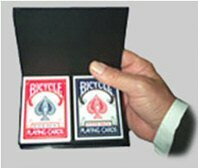 With “Deck Switcher” the magician has an elegant solution for one of the cardman´s important problems -how to impercertibly switch a deck. 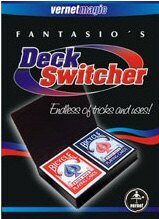 Fantasio´s mechanical deck switch is easy to do safe in operation and imposible to detect.